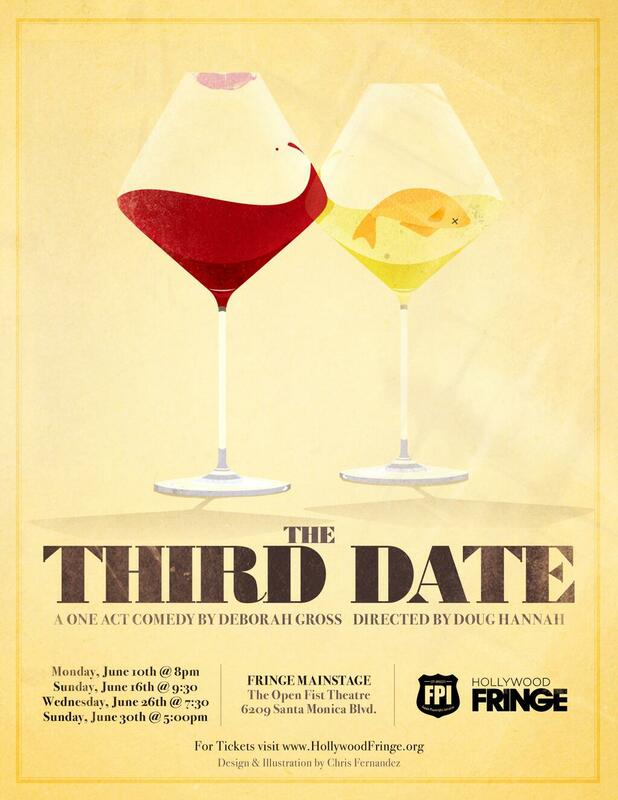 ‘The Third Date’, Written by Deborah Gross, Directed by Doug Hannah, is a funny and original one act play featuring Peter Cilella (Evan) and Megan Raye Manzi (Allie). The likable pair meet at Evan’s apartment for their infamous third date, filled with nerves and expectations for the night. The expected awkward banter is interrupted by the appearances of Barrie (Rebecca Mader) and Helmer (Antonio Alvarez). These ghosts of relationships past proceed to charm, distract and antagonize our young would-be lovers from each other’s arms while their fears and neuroses are revealed to each other and the audience. Megan Raye Manzi and Peter Cilella do good work as Allie and Evan, portraying the clumsy early moments of a relationship without becoming caricatures. Rebecca Mader plays Barrie with enthusiasm, giving “the hot exotic ex girlfriend” character both charm and humor. Antonio Alvarez, who stepped in for Chris Wylde on our night, was convincing and likable as Helmer. Both Barrie and Helmer were written and played as likable yet pompous, finding camaraderie with their ‘competition’ while also sabotaging their efforts from within. At 40 minutes, this well written and subtly directed piece deserved it’s full and raucous house. The one act satisfies it’s mission and leaves you entertained and amused. There are two showings left, Wednesday, June 26th at 7:30 pm and Sunday June 30th at 5:00 pm. Tickets and information can be found here, via the Hollywood Fringe’s web site. Print article This entry was posted by Jeremy Johnson on June 19, 2013 at 2:01 pm, and is filed under Entertainment, Girls. Follow any responses to this post through RSS 2.0. Both comments and pings are currently closed.